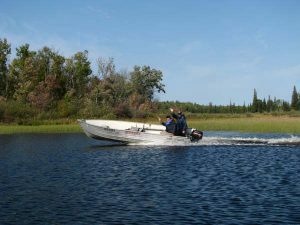 Mowat Landing Cottages has beautiful fishing, camping, & hunting cottages for rent along the Montreal River in Ontario, Canada. With a myriad of amenities and services available, you’ll have everything you need for a great Ontario vacation! You can Custom Build your own packages just contact us for pricing and what your needs are. 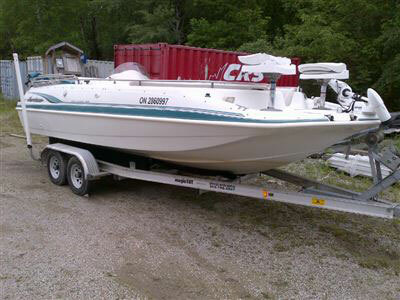 Includes:A 16’ aluminum boat with carpeted sub floor, swivel seats, and a 15 h.p. Outboard motor. First tank of gasoline is free, bait, bait bucket, life jackets, a landing net, safety kit and anchor. Canoes and boats on outback lakes are also included. Housekeeping cottage suited to your package. Upgrade your boat $200 and up. Bring your own boat take $100 off. $595/person/week+tax (based on 3 people) $100 deposit per person required with your reservation. Prices based on 2-3 adults per boat. Children 9-15 are half price, 8 and under are free. Includes: A 16’ aluminum boat with carpeted sub floor, swivel seats, and a 15 h.p. Outboard motor. First tank of gasoline is free, life jackets, safety kit and anchor. Hanging station with remains removal. Housekeeping cottage suited to your group. $570/person/week+tax (based on 3 people) $100 deposit per person required with your reservation. With trails galore, moose, bear & pheasant hunting is a breeze. Hunting on the trails just off the main road or hunting in wmu 28 or 40 on the river, there are many alternatives. Prices based on 2-3 adults per boat. $100 cdn deposit per person required @ reservation. Located 20km west of Temiskaming Shores, On; turning west off highway #11. The 25 minute drive down Mowat Landing Rd. or highway #558 west to the only lodging/resort located at the end of the road is a spectacular ride any time of day. Fully equipped housekeeping cottages on the waterfront and a relaxing week stay in a cottage suited to your group’s size. 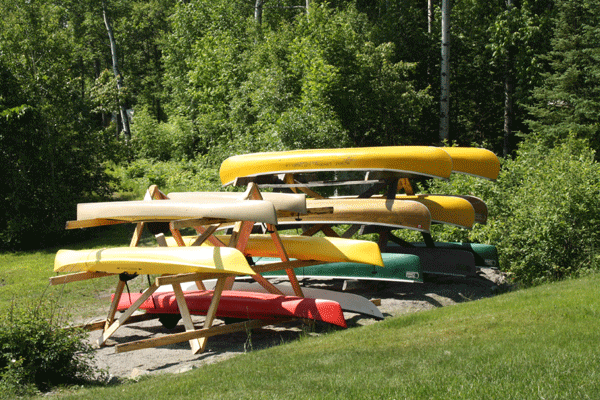 Includes: A 16’ Kevlar canoe or two kayaks. Your bait, bait bucket, life jackets, paddles, a landing net, safety kit and anchor. Canoes and boats on outback lakes are also included. Housekeeping cottage suited to your package. $100 deposit per person required with your reservation. Start your vacation @ Mowat Landing Cottages in one of our fully equipped cottages. Early morning paddle your way down the Lady Evelyn River to Lady Evelyn Lake, where you’ll set up camp. The next morning after a nice paddle, your first portage takes you into Sugar Lake, for a peaceful day on a fish filled lake. After a couple good nights’ rest you’ll endeavor two portages with a small lake between, making your way to a campsite on Lady Evelyn Lake. The final paddle across Lady Evelyn Lake for another beautiful site seeing day. Paddling across the lake you’ll find yourself making a campsite back on the Lady Evelyn River. The next morning a short five-mile paddle and a quick portage your back at the lodge for your final nights stay. Start your vacation with a bonfire and a great night sleep in your private cottage. Early morning (7am) we load up our shuttle boat for a tour up the Montreal River (2 hrs.) where you’re dropped into the majestic Spring Lake Creek. Paddling through clear lakes, adventuring the portages, your fourth day arriving at Tupper Lake, where a trail leads up to Maple Mountain (2nd highest peak in Ontario). Stay either on Tupper Lake or Hobart Lake that evening. The next day, setting up camp in Sucker Gut will provide you with excellent fishing and a day trip to Franks Falls. 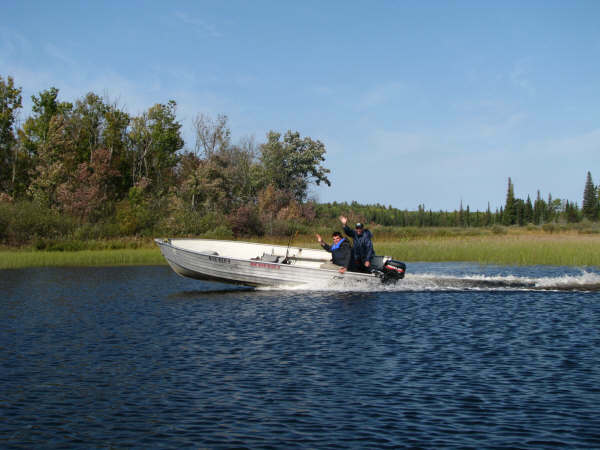 The last day you are picked up there with a tour across Lady Evelyn in our shuttle boat. Enjoying a bonfire back at the lodge. Includes: A 16’ Kevlar canoe or kayaks. Emergency stop in points are set upon Lady Evelyn Lake. $200 deposit per person required with your reservation.